As we continue to grow as a company, we are looking for talented new employees to join our expanding team. 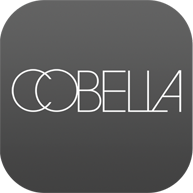 Cobella are looking for the hairdressing stars of tomorrow. If you are driven and focussed, prepared to go the extra mile and be part of an exceptional team then we can offer you outstanding paid training and work experience at our salon in central London. School leavers are preferable and NVQ Level 1, 2 and 3 are not required. We are looking for exceptional hair stylists and colourists with innovation, charm and flair who are craving for a strong career path amongst an award winning team. We require at least two years on the floor professional salon experience and a creative eye for hair and fashion. Top class customer service representatives and front of house staff are required for our high profile clients at Cobella. With a fast paced environment it is vital you have impeccable customer service skills, exceptional hospitality experience and fluent in English with a warm or welcoming presence. A minimum of two years in the service industry is required. We are seeking for top class experienced and passionate candidates for this fulfilling, yet challenging role. Excellent grooming, exacting communication skills, the ability to sell services and a mature manner are essential. A minimum of two years working full time in a similar role at NVQ 3 level is required. The benefits of working at Cobella include a plethora of prestigious clientele, occasional complimentary hair and beauty treatments the industry’s finest training for both the hair and beauty sectors along with ample opportunity to grow, progress and establish your career in your particular profession. Being a highly prestigious brand, Cobella is continually invited to take part in many of the industry’s internationally recognized events, shows and shoots, which you may be asked to take part in. If you’re interested in any of the exciting career opportunities available with Cobella, please complete the application form below and a member of our team will get in touch with you.